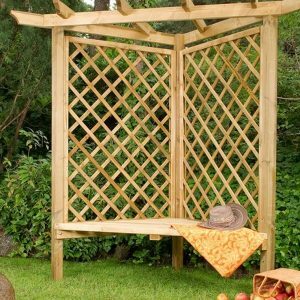 The Burton Arbour is a beautiful addition to any garden. 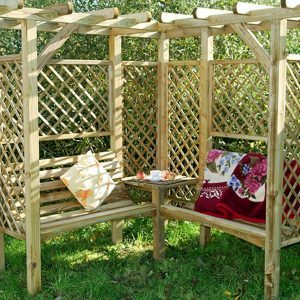 The classical design will blend gently into the backdrop of your garden creating a wonderful seating area. 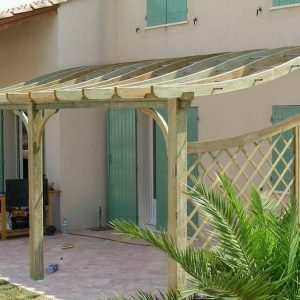 The slatted roof provides you with shelter and shade enabling you to make the most of your garden all year round. 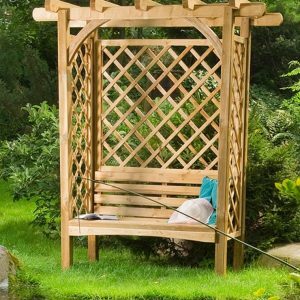 This garden arbour has been manufactured from FSC approved pressure treated Northern European Redwood. Step by step instructions are included for easy assembly.